Horlah Global Advertisment Services Is An Advertising Agency That Professionally Offers Multiple Services Which Were Organised To Enhance And Promote Your Business,Marketing,Product Sales And Services Based On Live And Cyber Publication. In A Little Time, Your Business Can Be Publish To The Internet Media And Make It Visible To Masses Of The World. In Conclussion, Our Services Results To The Global Popularity. Offers The Widest Range Of Online Advertisement Services In Nigeria. Being An Investor,Business Man/Woman Or Running A Company With Both Products & Services, We Truely Hope You Will Need Our Support For Your Adequate Operations. 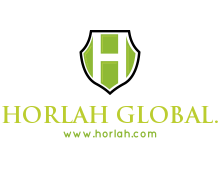 Horlah Global Build Your Reputation And Promote Your Business Through The Recession Of Online Publication. You Too Can Run Your Business Online On Like Your Competitors Does. We Design Professional Websites Like “www.yourbusinessname.com” For Example, Where Your Products And Services Can Be Published. With This Ads Plan,Both Current And Existing Customers Can Find You Online And Place Their Others. We Are A Professional In All Advanced Functions For Website Developement(HTML,XHTML,PHP,MYSQL Data Base And Domains Registration Etc). Join The Group Of Developing Companies Rising From Small Scale To Large Scale Business By Introducing The Latest And Advanced Online Advertisement Technology To Your Business. OUR CURRENT PLANS AND PACKAGES FOR WEBSITE DEVELOPEMENT ARE AS FOLLOW. (1). HORLAH GLOBAL BASIC PLAN(Being The Most Affordable):- www.yourbiz.com Domain 100MB Mysql Data Base Free Setup & Design Free Three Month Update Service 24/7 Technical Support. All @ N15,000 Only. (2). HORLAH GLOBAL PREMIUM PLAN:- www.yourbiz.com.ng Or www.yourbiz.biz Domain 500MB Mysql Data Base Free Setup & Design Six Month Free Update Service 24/7 Technical Support. All @ N25,000 Only. (3). HORLAH GLOBAL STANDARD PLAN:- www.yourbiz.ng Domain 1GB Mysql Data Base Free Setup & Design One Year Free Update Service 24/7 Technical Support. All @ N35,000 Only.